Fourth generation Tampa native Jason Fernandez will be honored with the 25th Adela and Cesar Gonzmart award by the Ybor City Chamber of Commerce at the 54th Annual Gala on September 29, 2018 at the Historic Columbia Restaurant in Ybor City. Mr. Fernandez, the owner of the Historic Hospitality Group has established a highly successful stable of acclaimed restaurants over the past 21 years including Bernini’s; Green Iguana; Tequilas and Carne Chop House. Fernandez’s past achievements and influences are showcased in each of these signature establishments. Ironically, Fernandez started his training at the famed Columbia Restaurant. He went on to graduate from the University of Tampa with a Business degree. He then went on to earn a Masters in Hotel and Restaurant Management from Johnson & Wales. Having honed his skills and art with the likes of renowned chefs Ella Brennan of Commander’s Palace and later Wolfgang Puck, among others, he had an opportunity to return to Tampa. Although the Historic Hospitality Group has grown it remains a staple in Ybor and continues to support the community it helped re-build after decades of neglect. Mr. Fernandez has the unique generational insight into the history of Ybor City, through good times and bad. His peers bestow this prestigious award for his giving spirit to his community, his ability to enhance the city as well as provide opportunity to others. Mr. Fernandez’s vision is innovative yet reflects on core values of the past of hard work, gracious hospitality and humility which he learned from Adela Gonzmart herself when he began his journey. 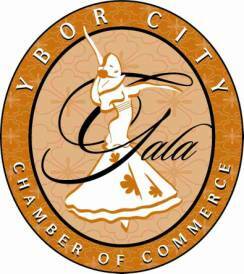 As Frank Trebin Lastra noted “The Ybor City Chamber of Commerce honors and applauds the essence of this Gala – the rebirth of this National Historic Landmark District and honors, all those that today are dedicating their lives and resources to enhancing the historic spirit of Ybor City.” Mr. Jason Fernandez exemplifies this Character.